0. When is it necessary? Check this video. 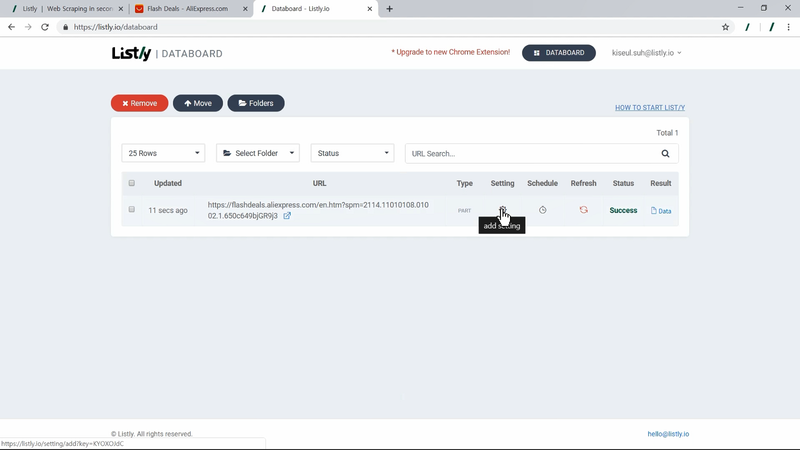 If your target page requires scrolling to load more products, Listly can automate the action with Auto-Scroll setting. 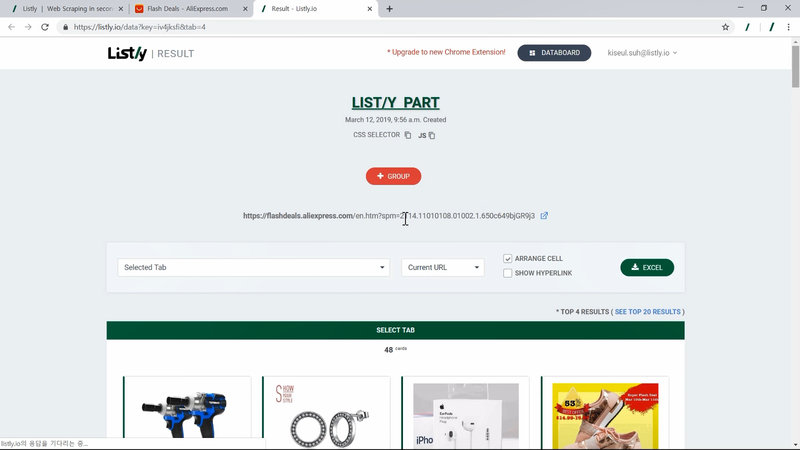 There were 48 products on the page when we first extracted because we have scrolled 3 times to get more products. 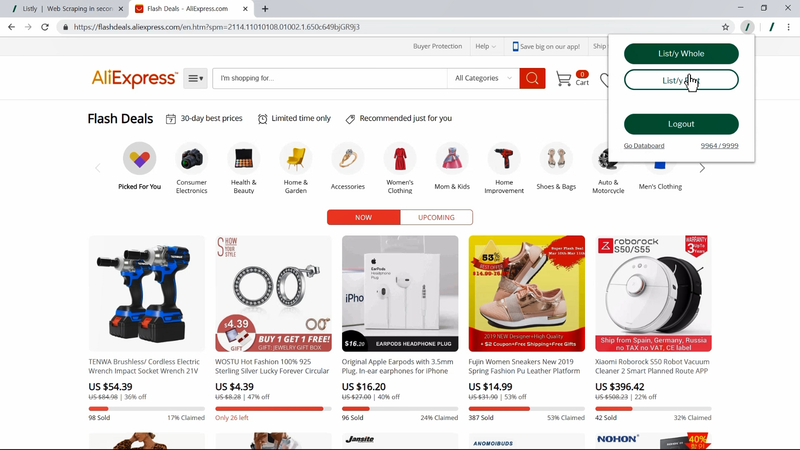 AliExpress’s Flash Deals page loads 12 products more per clicking. Go to Databoard. Click the Setting icon. 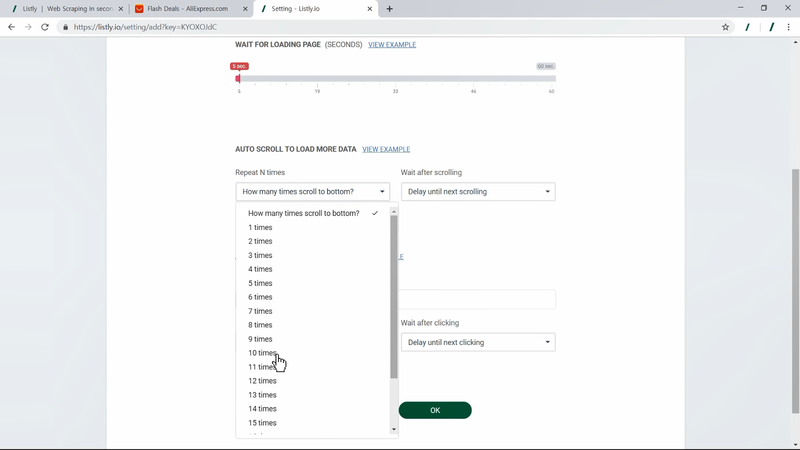 Repeat N times: How many times do you want to repeat scrolling? Wait after scrolling: How long do you want to pause per scrolling? Almost done. 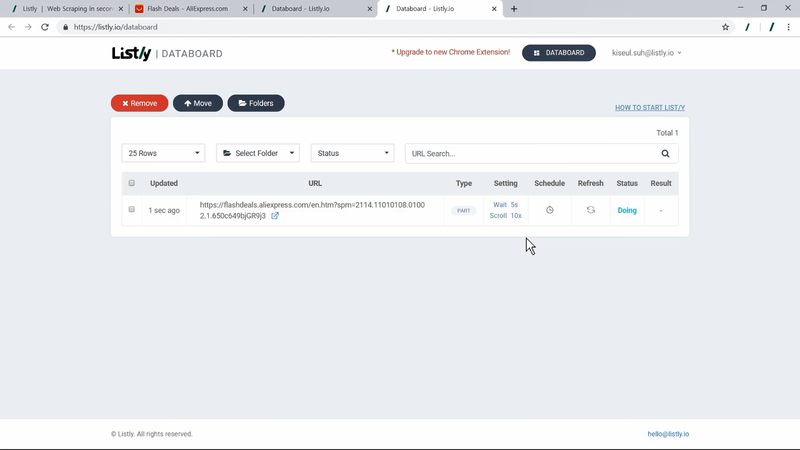 Click the Refresh icon to extract again with Auto-Scroll setting. If the extraction is finished, let’s check the result. 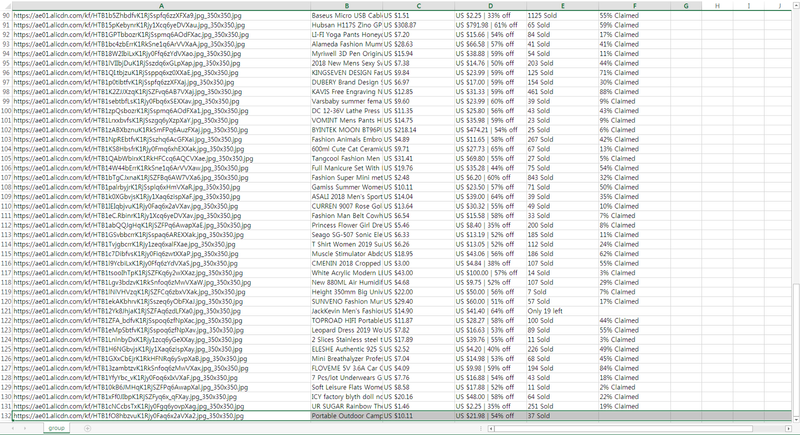 You can see that there are 132 cards extracted in the tab. 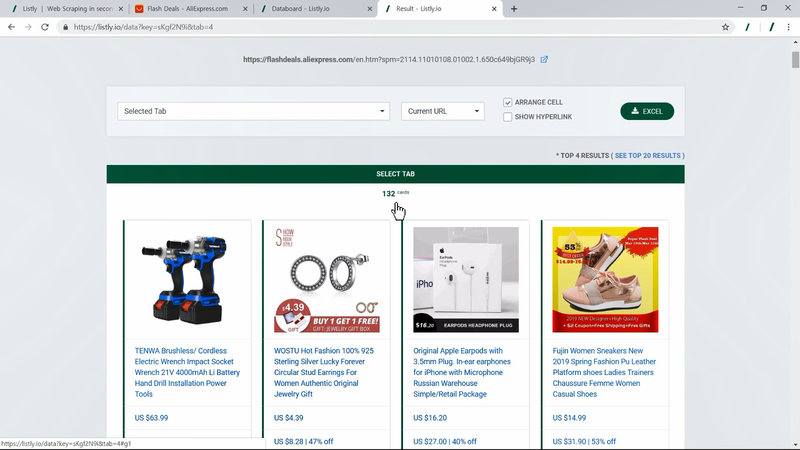 As we mentioned above, AliExpress’s Flash Deals page presents 12 products initially without auto-click and it loads 12 products more whenever scrolling down.